Alexandra Palace has revealed plans to stage large-scale immersive productions in its “hidden” Victorian theatre, when it reopens in 2018. It comes as the venue launches a public fundraising campaign to raise the final £1 million of its £26.7 million East Wing restoration project, which includes the theatre. The Victorian theatre, which when completed will have a seating capacity of up to 1,300, will be used for a range of theatre and opera productions, as well as comedy and music. 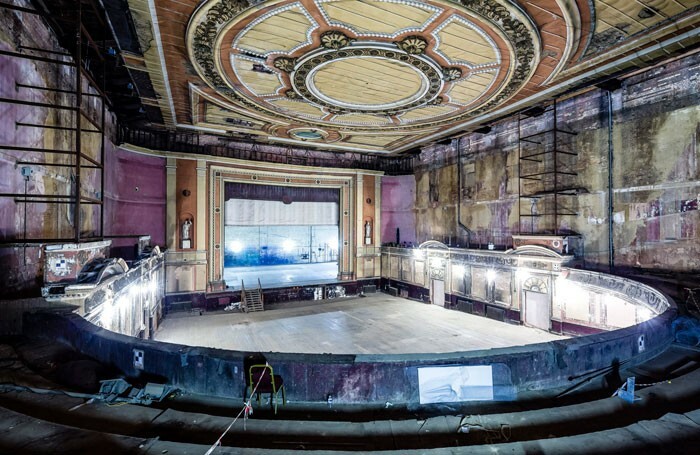 The theatre has been closed to audiences for 80 years, and will be reopened as part of the larger project to restore the east wing of the north London performance and event venue. Louise Stewart, chief executive of Alexandra Park and Palace Charitable Trust, said the challenge of restoring the theatre was “creating a modern theatre space but keeping the historic character and atmosphere” of the Victorian interior. “The real atmosphere is the fact that it has been hidden for so long,” she told The Stage. “One of the things that we are quite excited about is that we are going to be able to do some quite adventurous theatre productions. That sort of stuff really fits with the history of Alexandra Palace itself – that innovative, risk-taking kind of entertainment,” she said. Stewart added that the trust is currently engaged in discussions with production companies and artistic institutions about bringing work to the theatre. Last year, the project received £18.8 million from the Heritage Lottery Fund, alongside a £6.8 million grant from Haringey Council. Stewart said the public campaign, which hopes to raise the remaining £1 million, would make the difference between simply opening the space and “presenting the theatre in the way that it needs to be presented”. Individuals will be able to donate from £25, which will give them a credit on a donors’ board, while naming a seat will cost from £450 to £900. Work has already begun, with project completion expected in 2018 and the first productions staged in the spring of that year. The theatre will be a receiving house, but Stewart stressed that the work staged would be “strongly curated”. 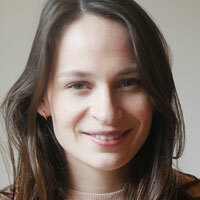 “We want to challenge ourselves and attract work that adds to what London has to offer,” she said.